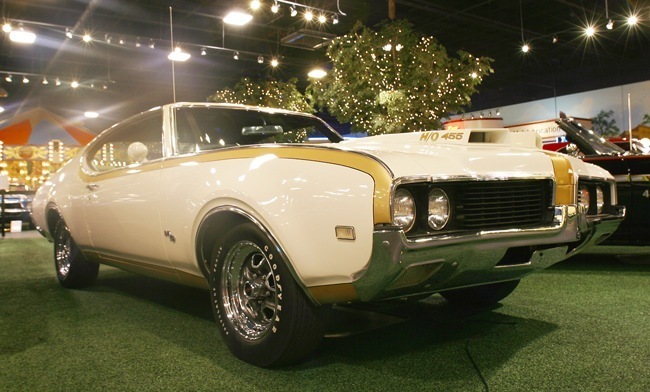 1969 Oldsmobile 442 Hurst 2 Door Coupe (above). 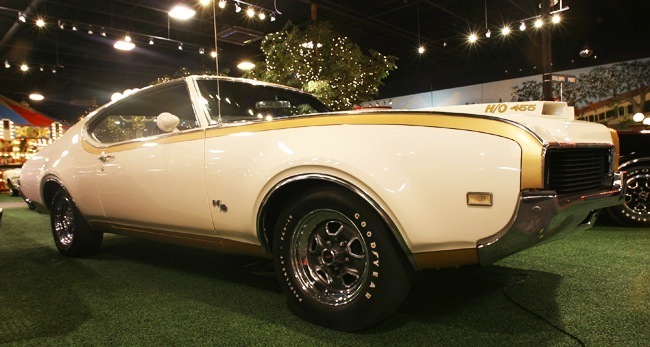 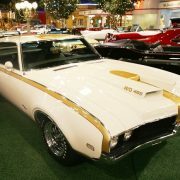 This is a rare ’69 Hurst Olds 442 Equipped with a 455 motor and 400 transmission. 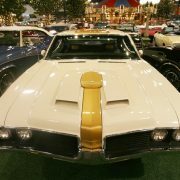 Original ram hood and very rare with factory air conditioning. 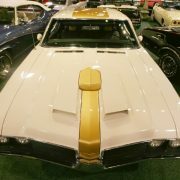 1 of 906 cars built. 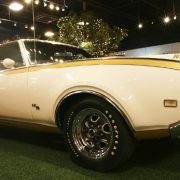 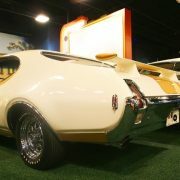 Following the success of Hurst components in Oldsmobile’s 442 models, Oldsmobile, in collaboration with Hurst Performance of Warminster, Pennsylvania, produced special-edition performance versions of the 442 or Cutlass Supreme, the Hurst/Olds. 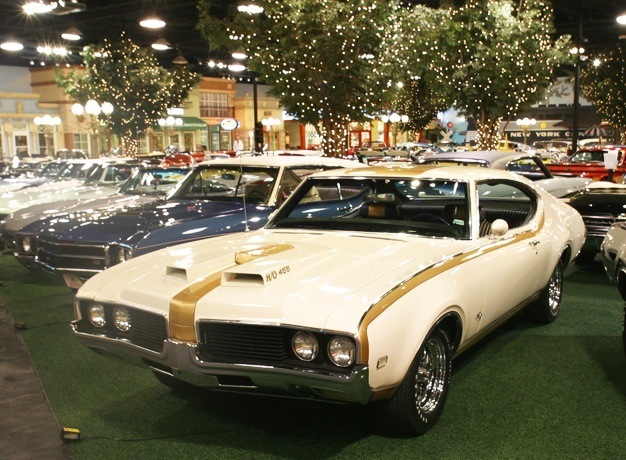 The Hurst/Olds returned for the 1969 model year. 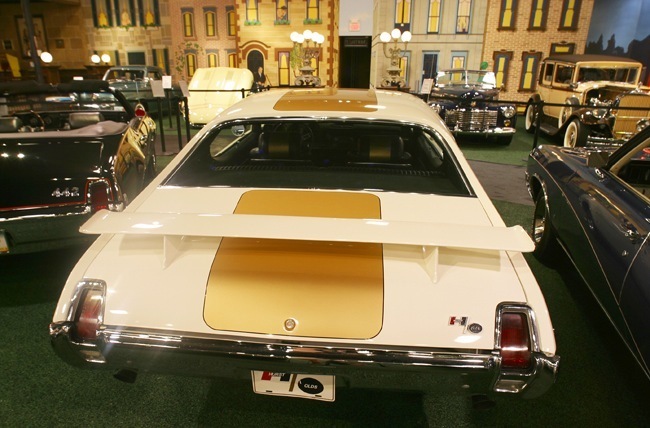 The biggest change was the switch from the silver and black paint scheme of ’68 to a new Firefrost gold on white paint scheme. 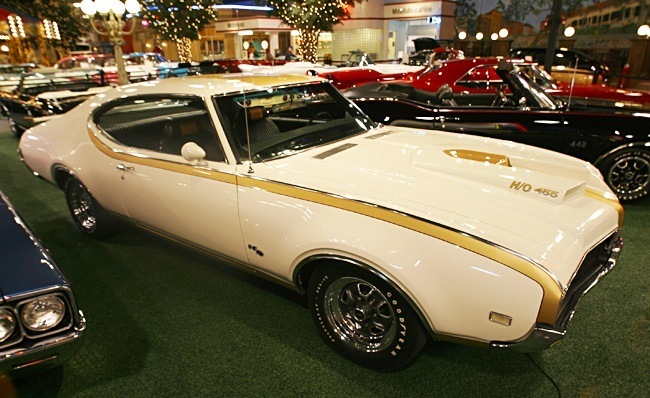 This would be the primary paint scheme for many Hurst/Olds models of later years. 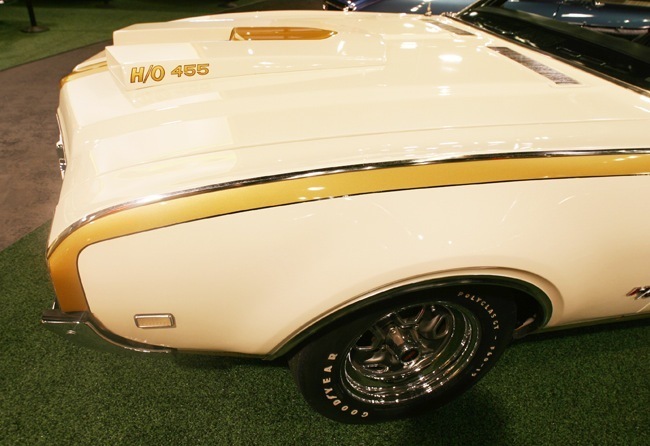 Instead of the dual ram air scoops under the front bumper that was used in ’68 and other ram air ’69s, the H/O received a functional “mailbox” fiberglass hood scoop with H/O 455 on each side advertising what lurked under the hood. 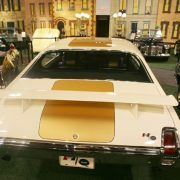 A spoiler was mounted on the trunk and the car sat on unique 15×7 chrome SSII rims with Goodyear F60x15 Polyglas tires. 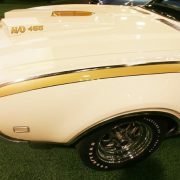 The exterior was finished off with a pair of English racing mirrors, H/O emblems on the front fenders and deck lid, blacked out 442 grilles, and black hand-applied pinstripes. 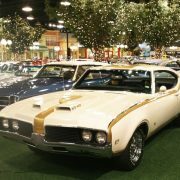 All of the ’68 and ’69 H/Os were pinstriped by one guy! 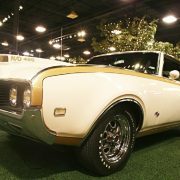 Interior modifications included the same dual/gate shifter setup as ’68 (with different woodgrain), painted gold stripes on the headrests, and a Hurst/Olds emblem on the glove-box door. 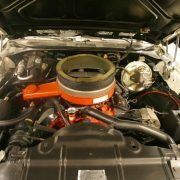 The non-drive train modifications were again done at Demmer Engineering. 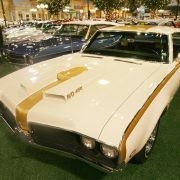 Approximately 913 cars were built including 2 convertibles for Hurst promotional use. 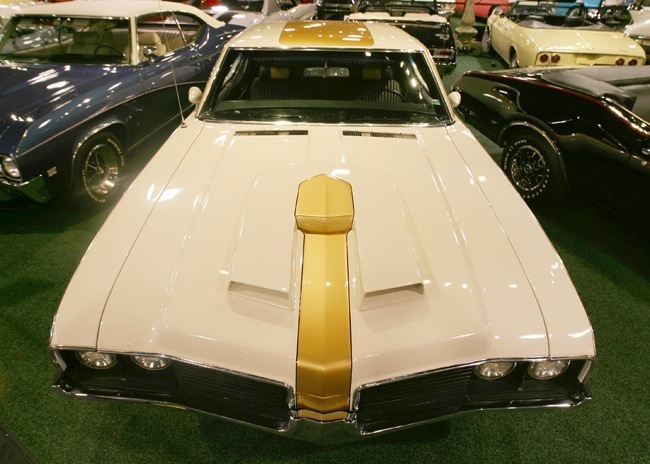 The 455 cubic-inch Rocket V8 received a slightly milder cam and produced 380 horsepower (280 kW) and 500 flbs of torque. 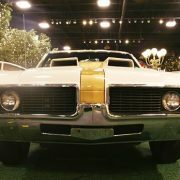 This provided better drivability, particularly for air conditioned cars. 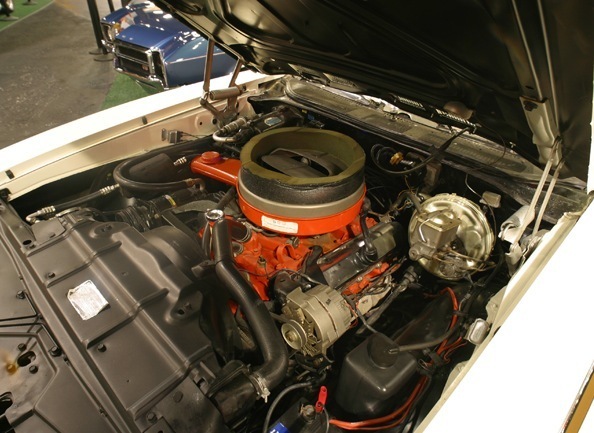 The same engine was used for both A/C and non-A/C cars. 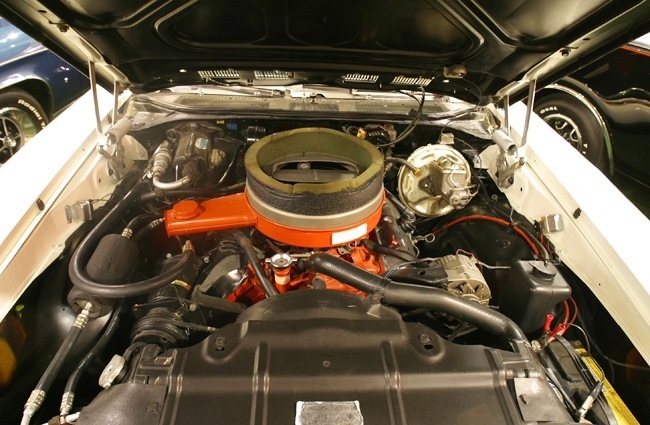 The engine received a unique intake manifold, chrome steel valve covers, and a special vacuum operated air cleaner lid to allow cold air from the hood scoop into the carburetor. 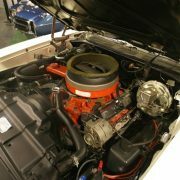 This was backed up by a specially calibrated code OH Turbo 400 transmission and 3.42 gears for non-A/C cars or 3.23 gears for cars with A/C. 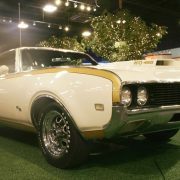 Optional 3.91 gears were available only for non-A/C cars. 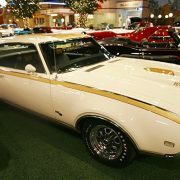 The Hurst/Olds was temporarily dropped after the 1969 model year because GM dropped the 400 cubic-inch engine limit for the 1970 model year, which permitted the divisions to install larger engines in their intermediate musclecars. 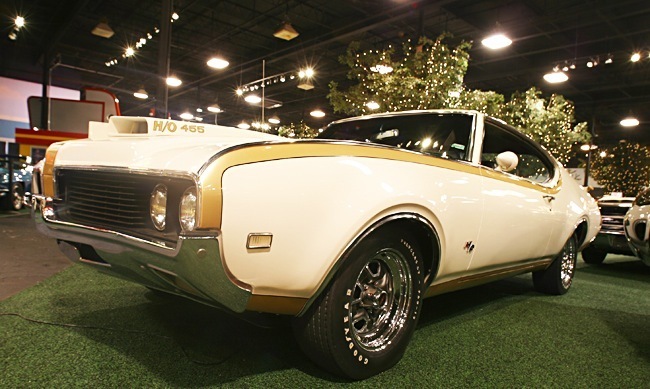 For 1970, the regular 442 came standard with a 365-horsepower 455 Rocket V8, or an optional 370 horsepower (280 kW) version of same engine with the W-30 option. 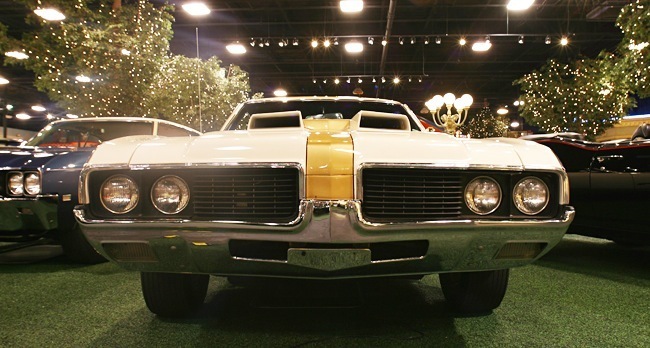 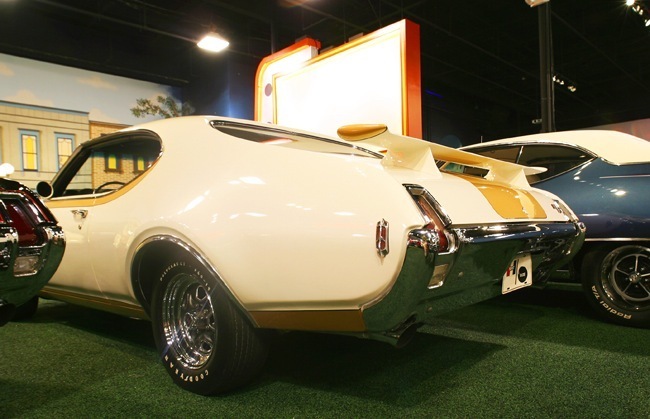 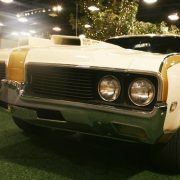 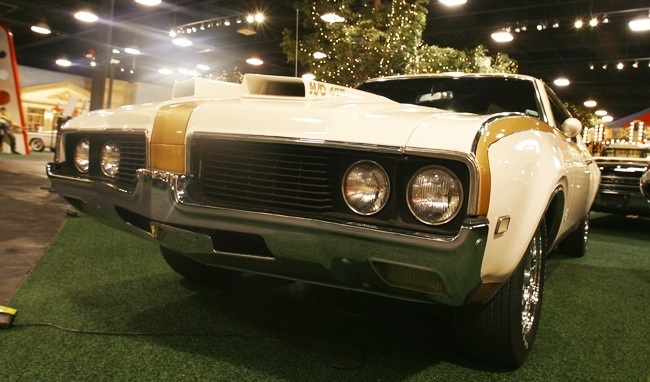 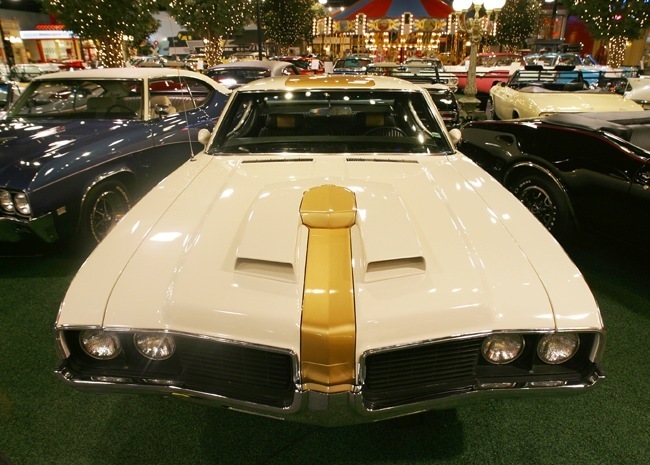 For 1970, Olds planned to bring back the Hurst/Olds, but as a lower-priced companion to the 442 with a smaller 350 cubic-inch V8 and special graphics. 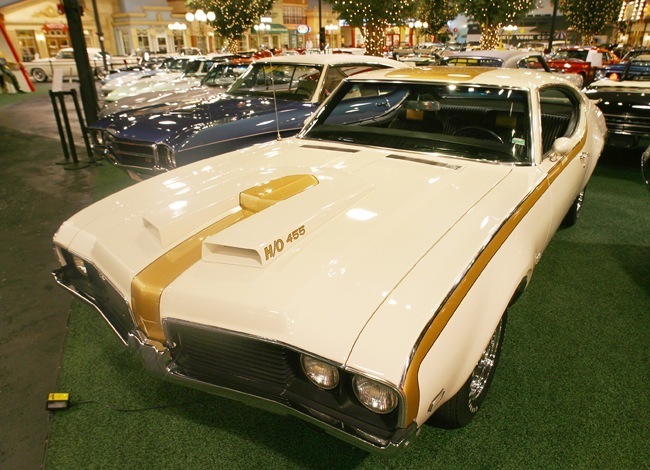 That planned ’70 H/O ended up being introduced as the mid-year Rallye 350, which featured a bright yellow paint scheme for the body along with front and rear bumpers coated with matching yellow urethane. 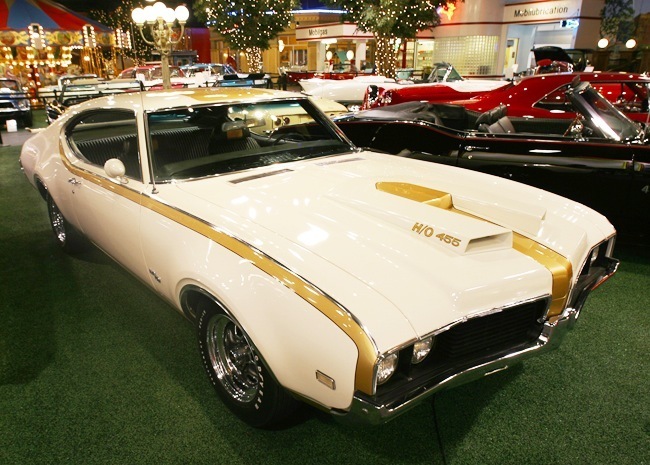 The next Hurst/Olds would be introduced as a 1972 model.